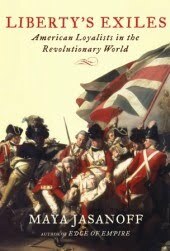 PhiloBiblos: Book Review: "Liberty's Exiles"
Great review - this book has been on my list for awhile and I'm glad of the reminder to pick it up. Have you read Jasanoff's earlier book, 'Edge of Empire'? I was really impressed by it. I haven't yet, but definitely intend to!